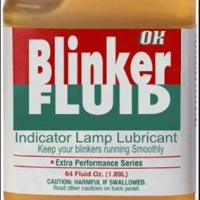 Welcome to Edmunds discussion dedicated to 2015 GMC Yukon leasing questions. Here you can find and discuss all the latest lease details for the 2015 Yukon, including cap costs, money factors, residual values, acquisition fees, etc. Please post any leasing questions you have or any details you’d like to share about your own lease deals. Navigation tips: To see the most recent information and activity, make sure to visit the latest post, which may be a few pages ahead. Click the pages numbers just below to go to a new page in the discussion -- or search the entire discussion by clicking the magnifying glass icon and entering keywords. 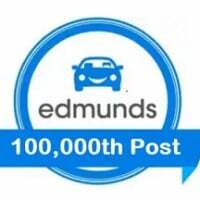 We also invite you to share your purchase experience on Edmunds Facebook page, Share Your Story. Might be too early, but looking for lease info for 2015 Denali XL. 36 mos, 10K/yr lease. Residual and MF?? Considering a 2015 Yukon XL SLT (4SA). What is the current MF & Residual for both a 36mo/15K & 39mo/15K lease? Thank you in advance for your help. 3.60% MF and 60%/58% residual. Does regular Yukon(not XL) have the same numbers? Yes.. the non-XL models have the same numbers. Hi kyfdx - Thanks to you and Edmunds for all the great info through the years. It's been incredibly helpful. Next up for my family is a possible 2015 Yukon 4WD SLT. It looks like MF is 3.6%. But we probably only need a low mileage lease - like 10K or 12K/year. What is the residual for a 36 mo/10K lease? Also, it looks like the only incentives are $500 loyalty and $500 conquest. Is that accurate? The residual is either 62% or 64% depending on options for 36mo, 12K/yr. Add 1% for 10K/yr. I don't see any other incentives. Hi kyfdx - is the residual/MF the same for Denalis? i.e. 60% & 3.6% for 36 months @15K per year? Thanks! I would like to know what the MF and residual value (10k and 12k) is for a heavily optioned 2015 Yukon Denali 4WD. Thanks. 3.10% APR and 63%/62% residual for 36mo, 10K/12K/yr. Did June #'s change? looking at a 2015 XL Denali AWD. 36/15. Looking for the new June 2015 AWD Denali lease residual values and money factors. Thx 36/15 please. Looking for the residual and buy rate money factor for the 2015 2wd Denali. 36 months/15k. If you have the numbers for both Ally as well as US bank that would be great. Thanks! we only have the numbers from Ally - 2.55% and either 58% or 60% residual. The dealers have the numbers, but we don't.. yet.. Hopefully, in the next few days. That may be, but we don't have any way to confirm that until we get the numbers ourselves.